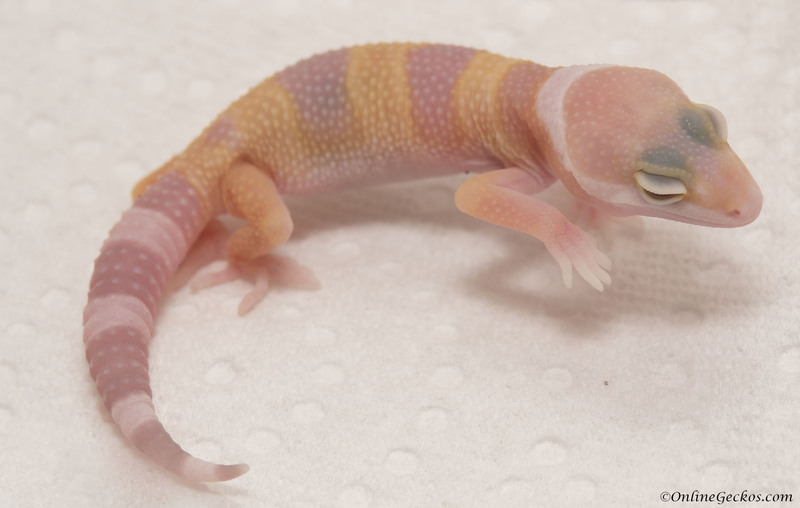 We have a few breeder quality leopard geckos for sale. 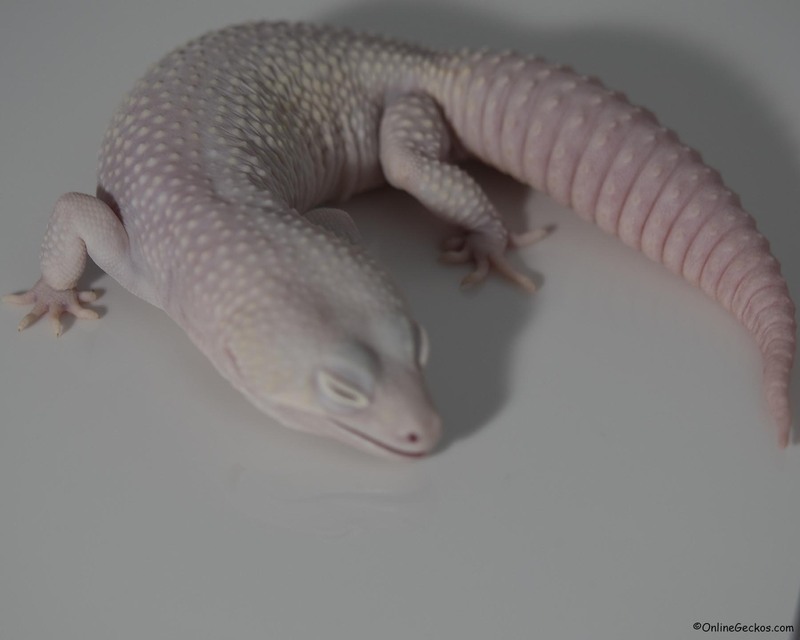 Pictured above is a mack snow raptor het diablo blanco (het blizzard) female. 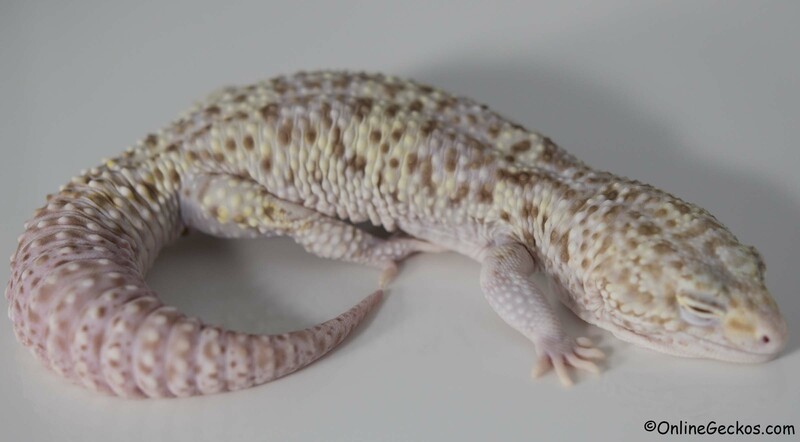 She was hatched from a Mack Snow Diablo Blanco x Super Galaxy het Tremper pairing. 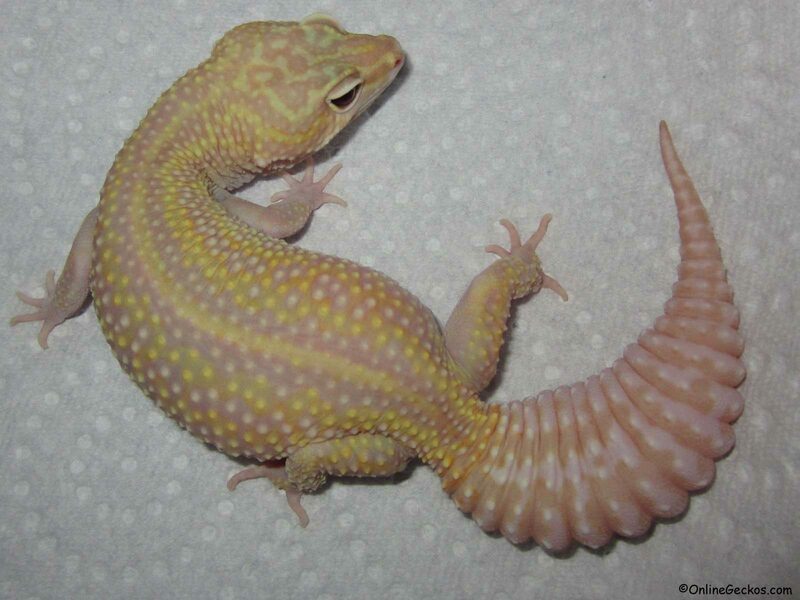 Beautiful gecko, healthy, plump, and ready to breed! 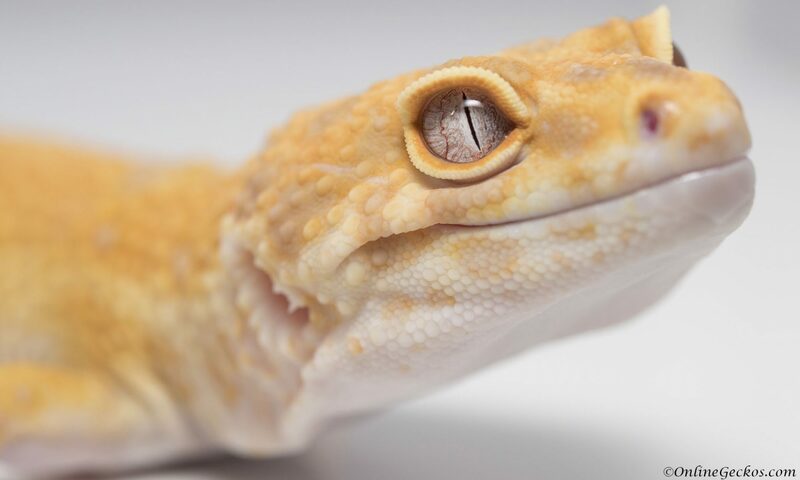 Create your own diablo blanco, mack snow diablo blanco, mack snow raptor, super raptor, super galaxy, and more with this female. This is a HUGE male with long body and tail. He’s a mack snow radar, with 100% double solid red eyes. 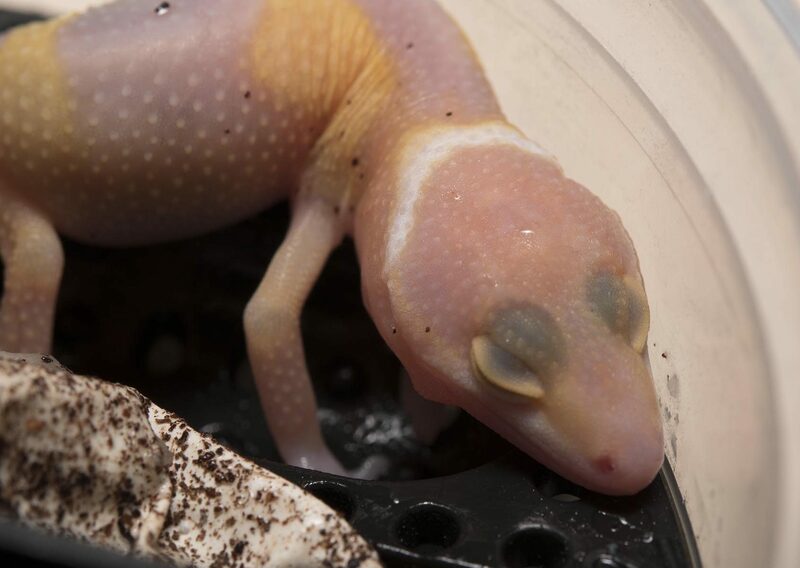 Radar is a bell albino + eclipse, this combination gives the gecko ruby red eyes. His genetics make him a great keystone breeder. 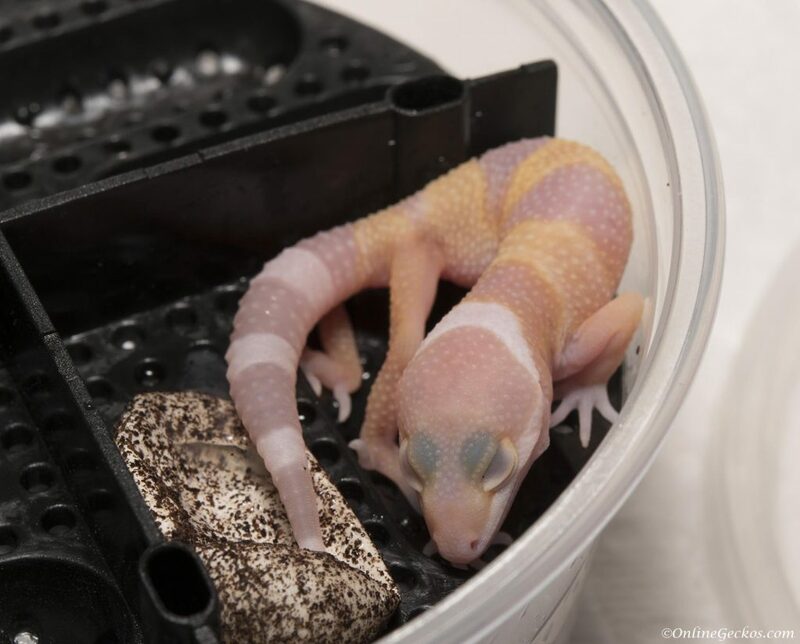 You can produce radars, mack snow radars, super radars, eclipses, bell albinos, and more with him. 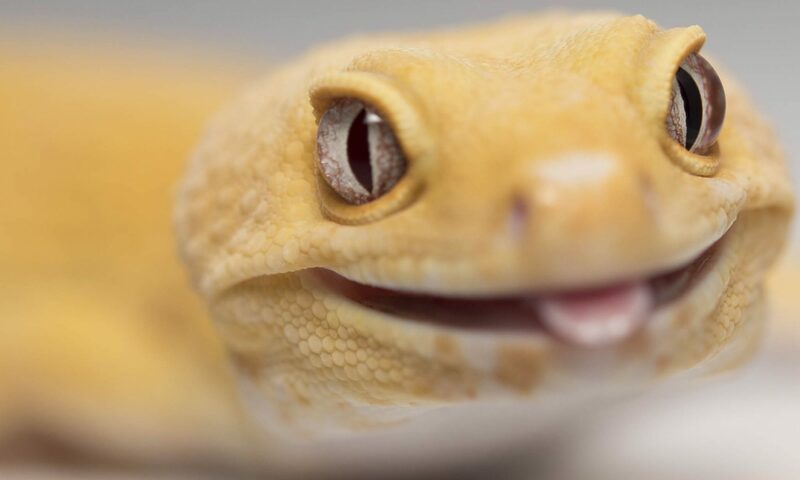 Having a solid male breeder with solid genetics is crucial to having a good leopard gecko breeding group. He’ll be great for anybody looking to work with bell ablinos, eclipses, and mack snow genes.